Geophysicists have obtained detailed three-dimensional images of a dangerous megathrust fault west of Costa Rica where two plates of the Earth’s crust collide. The images reveal features of the fault surface, including long grooves or corrugations, that may determine how the fault will slip in an earthquake. 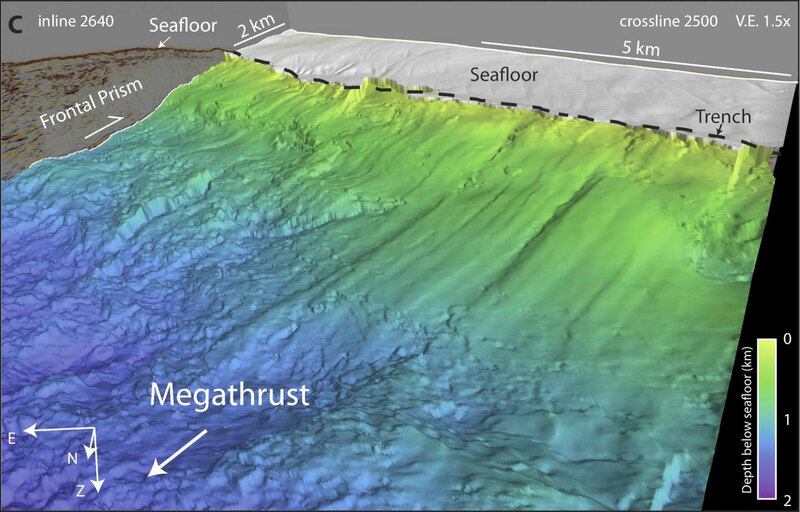 Be the first to comment on "Geophysicists Reveal Megathrust Fault Off Costa Rica"